At last, an official confirmation came in today that the Ukrainian citizen who went missing in Belarus was kidnapped by the Russian special services. Thus, it was confirmed that not only the territory of Belarus is no longer safe for any citizen of Ukraine, but that the Republic of Belarus is no longer neutral towards Ukraine. A new stage in relations between the two countries is to begin. The Russian state news agency TASS reported that a Ukrainian national, 19-year-old Pavlo Hryb, is in Krasnodar. He is under arrest until 17 October on charges of "supporting terrorism " under Article 205.1 of the Criminal Code of the Russian Federation. The ruling was issued by Krasnodar's Oktyabrskiy district court. 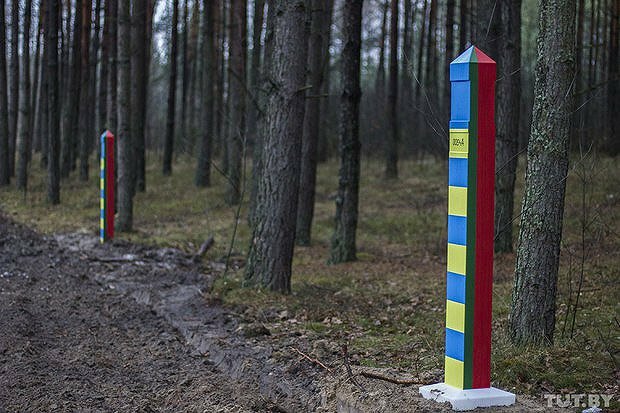 Thus, the theories and suggestions that a Ukrainian citizen was kidnapped on the territory of Belarus and found himself in Russia got corroborated. Ihar Ilyash pointed out an important aspect. He noticed that, according to TASS, the court issued an arrest warrant for Hryb on 17 August and that he was on an international wanted list. 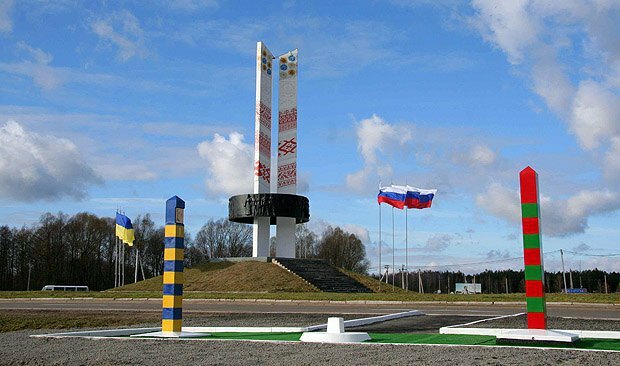 And the State Border Guard Committee of Belarus said earlier that Hryb crossed into Belarus through the checkpoint Nova Huta on 24 August. That is, Hryb crossed the Ukrainian-Belarusian border a week after he was arrested in absentia by the Krasnodar court. "Thus, Pavlo Hryb had to be in the databases of Belarusian border guards when he was crossing the border on 24 August. But when he was on the border with Ukraine, they had no complaints. Therefore, the Belarusian border service was instructed to let Hryb in so that he could be arrested by the FSB in Homel. Thus, the Belarusian border guards were unequivocally involved in his kindnapping. A wonderful example of organized crime cooperation, " the journalist concludes. "If TASS's report is a lie, and the court ruling was simply backdated, this means the FSB does not take Belarus for an independent state so much that it kidnaps a person on its territory without even taking care of a formal legal cover for this operation," he adds. Both options are bad for Belarus. Both are also bad for the Ukrainian-Belarusian relations - since they pose a question to Ukraine: how should it act with regard to the country which President Petro Poroshenko, in the presence and with the approval of Alyaksandr Lukashenka, recently called "friendly", but in which Russians (in cooperation with Belarusians) kidnap Ukrainians? What is Belarus for Ukrainians now? First, now Kiev has every reason (and should do so) to recognize Belarus as a country that is not safe for Ukrainian citizens. The Foreign Ministry and other government offices should at least state it loud and clear and take it home to Ukrainians. After all, virtually every Ukrainian arriving in Belarus is exposed to the risk of detention and arrest (and earlier many had an illusion that such an attitude towards Ukrainians is only possible in Russia). And this is not an exaggeration: no-one gets surprised any longer to learn that people go to jail in Russia for posts/shares in social networks, but it is not the case in Ukraine and Ukrainians freely express their political views online. 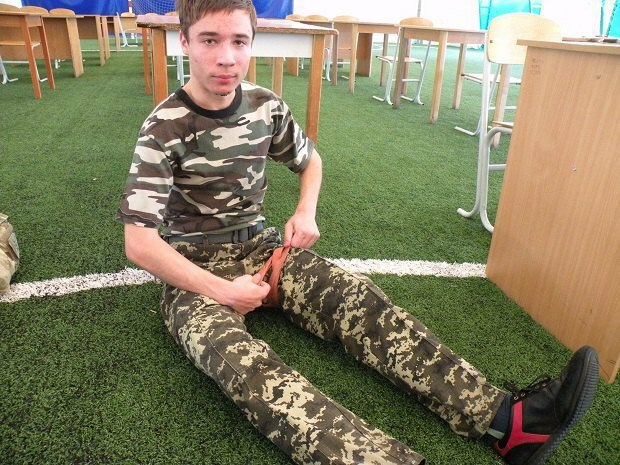 And it seems to be the reason why Pavlo Hryb was apprehended: he is only 19, he had no connection to the armed forces of Ukraine or volunteer battalions, and did not go to Donbas. His family believes that the Russian special services could take notice of him because of political views he expressed in social networks. Simply put, he criticised Russia. And he may have wished that the Almighty punish that country for the wars it waged. And that is it – he is in for a prison term. Second, by providing its territory for Russia's illegal operations, Belarus stops being a neutral country for Ukraine. Kyiv's soothing tone when talking to Lukashenka up to this point is explained by the fact that Ukraine does not want to produce another enemy in the conditions of war with Russia and have an additional potential front with Belarus. And Lukashenka used every platform to promise that the territory of his country "will never be used for aggressive actions against Ukraine, and the Ukrainian-Belarusian border will never be the border of war." But now there is more evidence to doubts that Lukashenka's words have a solid foundation to them. In conditions when Belarusian government bodies are either on the side of the aggressor country against Ukraine, or President Lukashenka simply cannot control Russian uniformed agencies on his territory, his beautiful words and promises are worth nothing. The Zapad 2017 (West 2017) being held in Belarus only proves this. 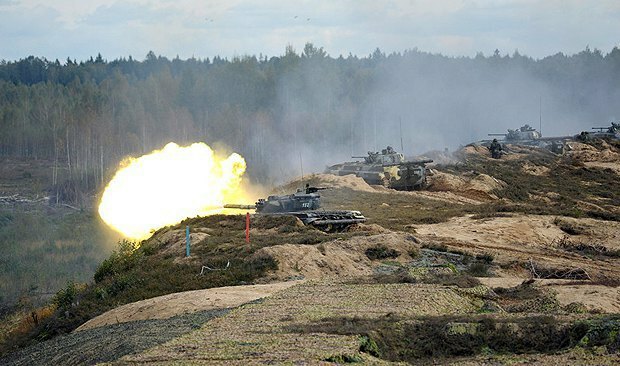 Moscow may be using this event, as well as the provocation with Hryb (on the eve of the exercise), to stand a message (both to the West and Minsk itself) that Belarus is a property of the Russian Federation. Third, considering Belarus is no longer a neutral state, certain measures of influence can be applied to it. First of all, these will be political measures: notes, statements, cancelled state visits and contacts. It would be interesting to see how members of the Ukrainian delegation in the contact group on a Donbas settlement, who travel to Minsk for negotiations, in particular on the release of hostages, will behave. By the way, even they do not feel safe in Minsk, that is why they try to minimize the programme of their visits in order not to spend the night on the territory of Belarus. And those who have to stay for the night there sleep and have breakfast/lunch/dinner only together with computers and other valuable things for work because there are no guarantees of security there. So the issue of moving the negotiating platform from Minsk to another country and another capital (Belgrade was one suggestion) should now be revisited in earnest. The reason is more than significant. In addition to measures of political influence, Kyiv may consider measures of economic impact on Belarus. For example, it may expand economic sanctions to include another member of the Union State. Now, apparently, Kyiv is neither prepared to completely abandon economic cooperation with Minsk (especially in critical areas such as, for example, the import of oil products) nor it is going to unleash its controlling bodies on Belarusian business in Ukraine. Nevertheless, more and more experts tend to agree that Lukashenka will have to pay for the lawlessness which was committed. And the water grinds the stone and one cannot rule out that if Belarus takes more openly unfriendly steps, Kyiv may review its policy. And while the Ukrainian authorities cannot do this officially, Ukraine citizens can. They can display solidarity and determination in the struggle for their fellow countrymen and boycott Belarusian business and goods in Ukraine. In any case, the case of Pavlo Hryb cannot pass without consequences for Alyaksandr Lukashenka. Putin's peacemaking game: is there a chance to have "blue helmets" in Donbas?